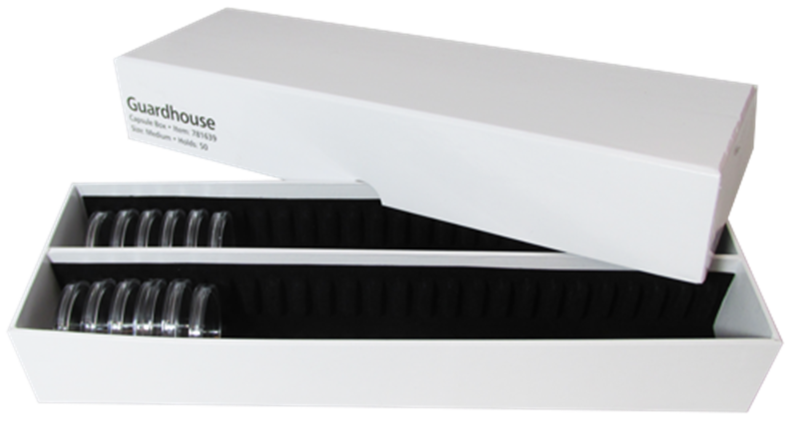 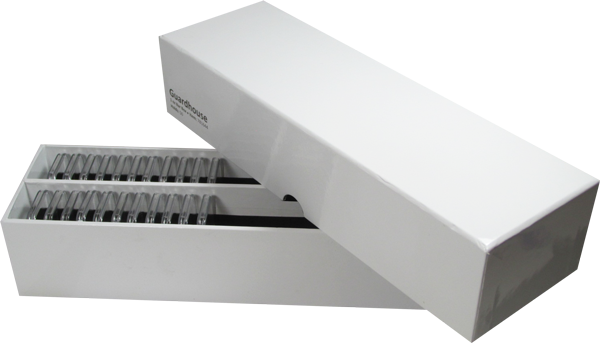 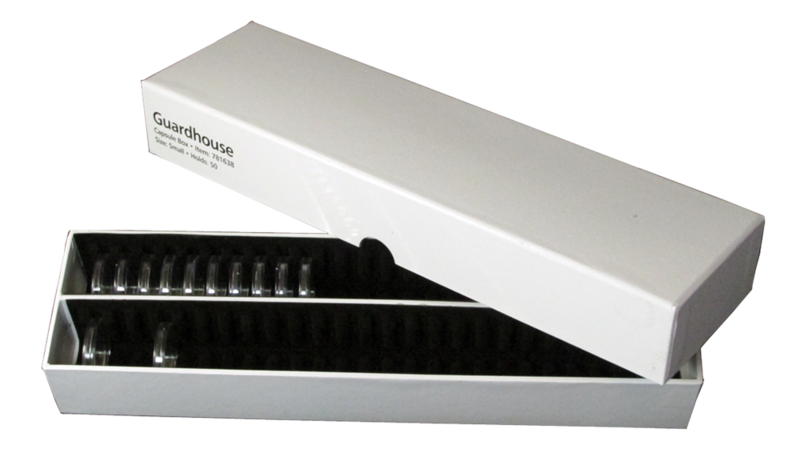 If you have direct-fit encapsulated pennies, nickels, dimes, quarters, you need a Guardhouse Small storage box. 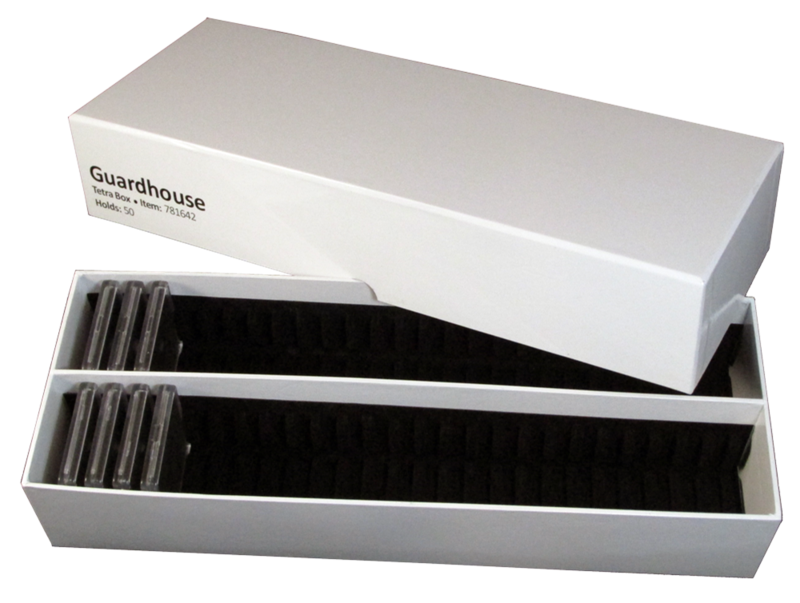 If you have half dollars in coin capsules, you need a Guardhouse Medium storage box. 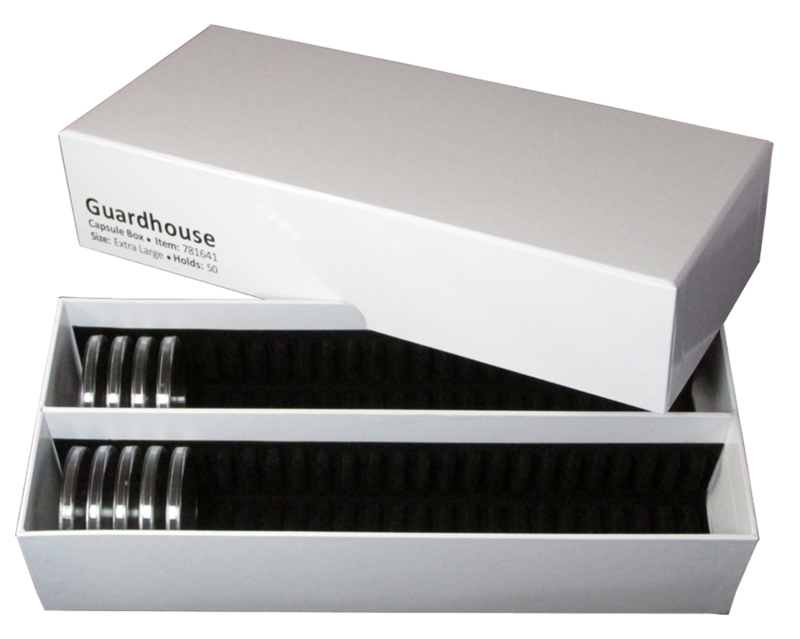 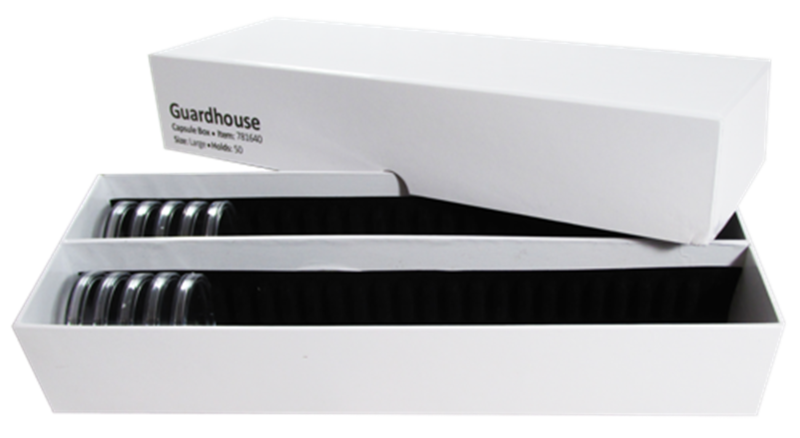 If you have large dollars in coin capsules, such as Ikes, Morgans, Peace, or silver eagles, you need the Guardhouse Large coin capsule box. 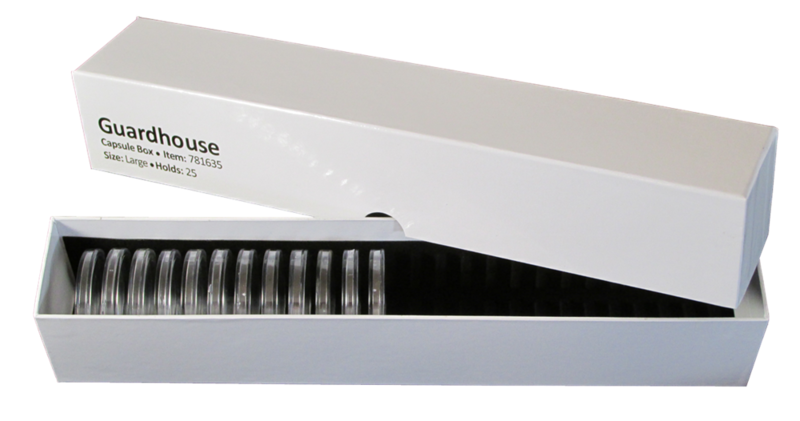 If you decided to put big coins in Air-Tite ring-fit capsules, you'd do well to put those coin capsules in X-Large size storage boxes. 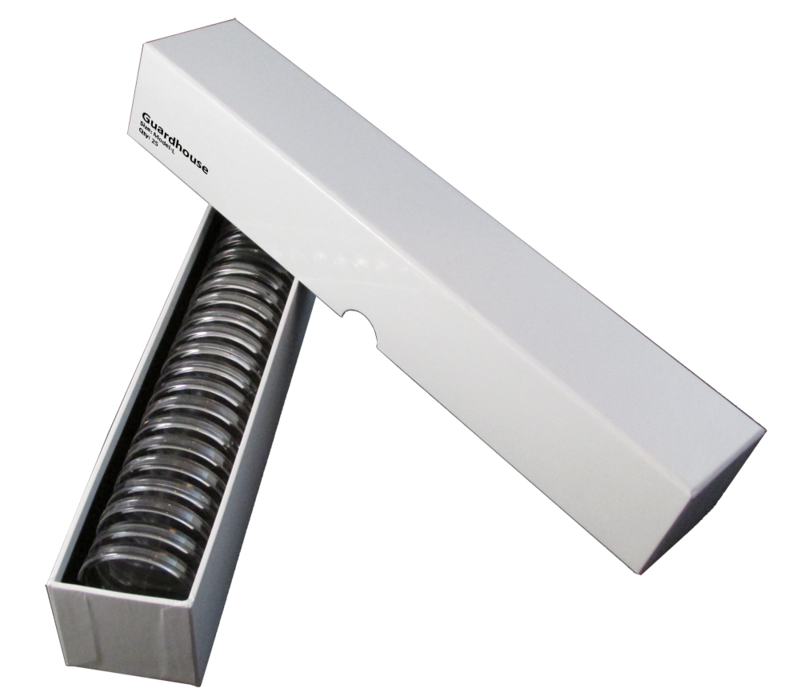 The coin capsule storage boxes are streamlined in their outer dimensions, the slots themselves are designed for small to larger coins. 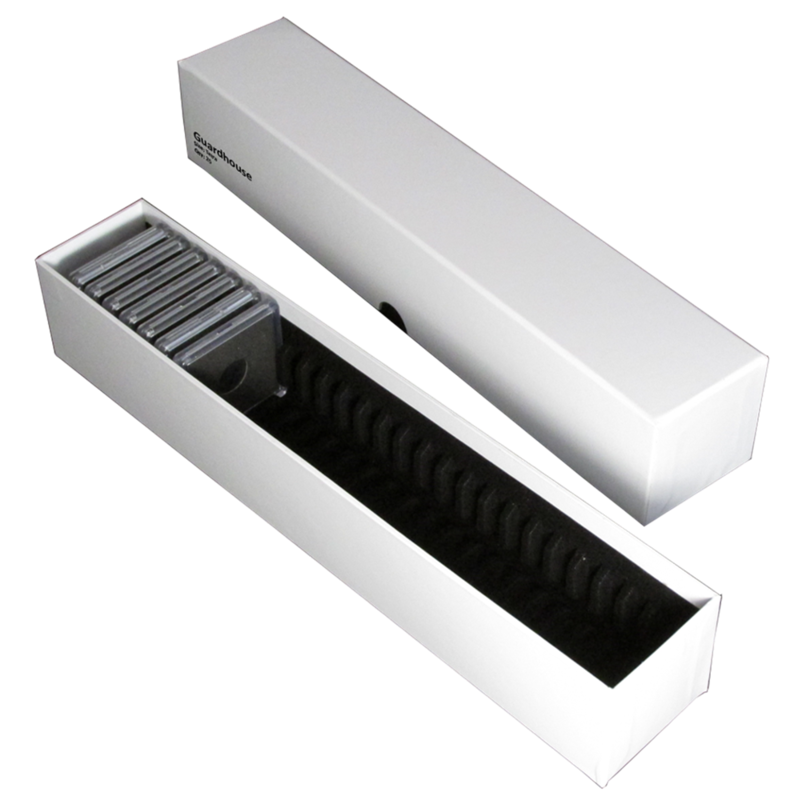 Those of you who would be planning to store these boxes are compactly as possible in a safe can rest well knowing the coin capsule storage boxes themselves don't change in outer dimensions as the slot sizes change.